Email used to be amazing but in recent times it’s consuming our work and personal lives. Today, people are starting to ignore this medium of communication or even worse have inboxes with hundreds (if not thousands) of unread messages. That all changed when I found Superhuman. A team of technology rockstars based in San Francisco has finally figured out what we all hate about email and are proactively fixing it. 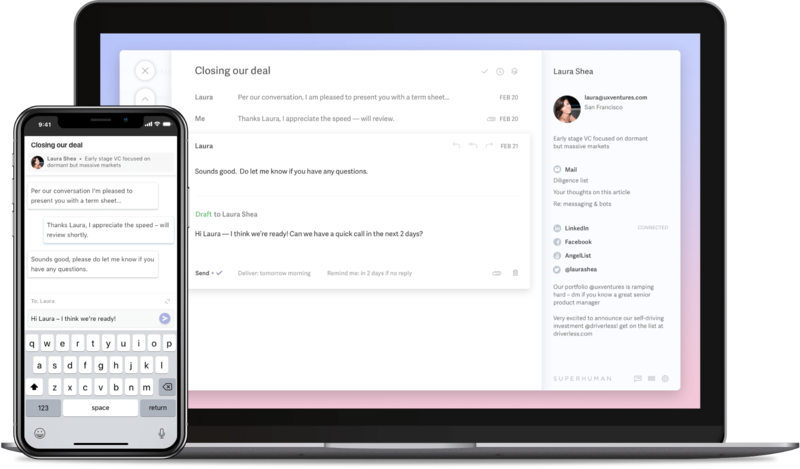 Not only is the user experience out of this world but they focus on the little things like email templates, keyboard shortcuts, and instant intros with new features launching every few weeks. Their model is revolutionary for a Software as a Service (SaaS) tool with over 70,000 people on the waitlist. There’s no free trial, a closed beta environment which still operates today, and Rahul and his team have redefined Product/Market Fit. I cannot speak more highly about them. I’m beyond obsessed. It has saved me hours per day in email, has made me more productive, and has shown me that there are always opportunities to improve the ways we work. Superhuman is $30USD p/m and is worth every cent! If you want an invite please DM me on Twitter.